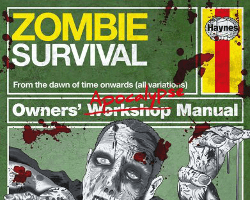 With our help you can equip yourself with a wealth of information and professional quality survival supplies which will ensure you’re one the last survivors standing should a zombie outbreak strike. 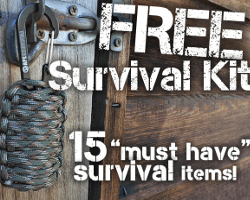 When it comes to surviving against a horde of zombies, multi-purpose survival supplies are a must. For these reasons we suggest investing in a Paracord Survival Bracelet. 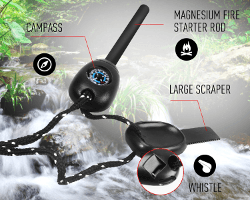 This seemingly simple gadget can be used to make a shelter, trap food, make a fire, mark a trail, to use as a tourniquet or as a fishing aid; the possibilities are endless! 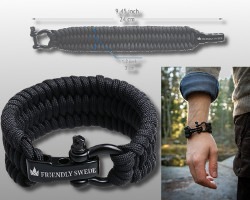 In many ways this small yet super strong Paracord Survival Bracelet could prove extremely useful in the midst of a zombie apocalypse and carries a Lifetime Warranty from The Friendly Swede. 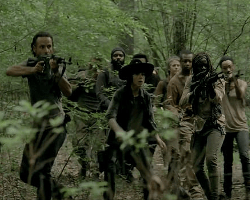 In the midst of a zombie apocalypse safe drinking water is also essential. Ensure you stay suitably hydrated and avoid infection with the help of a Lifestraw Personal Water Filter. 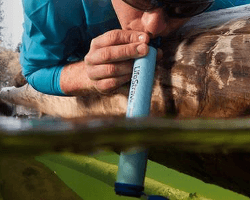 Explore our Zombie Apocalypse Survival Section online today to discover how this innovative Lifestraw Personal Water Filter can be used to safely drink water from any source. 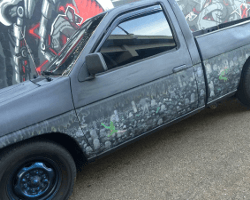 Ever wondered how you’d fare during the zombie apocalypse? Well now you can find out! 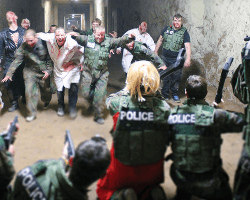 In recent years there has been a surge in Zombie Boot Camp Experience Days so of course our Zombie Pit team had to check them out! 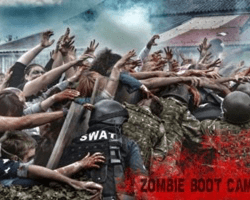 These action-packed excursions will teach you how to survive against rampaging zombies and then immerse you within a series of missions including clearing a mock government research facility, riding in a riot van convoy and then clearing an infested aircraft hangar! 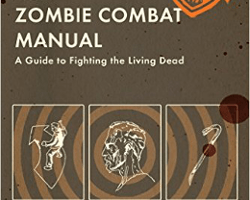 If you’re interested in testing your survival skills and fending off a horde of flesh-hungry Walkers please feel free to read our informative review of one of these exciting post-apocalyptic training excursions within our Zombie Apocalypse Survival Section today. During a zombie apocalypse the time honoured cliché ‘knowledge is power’ is extremely relevant. 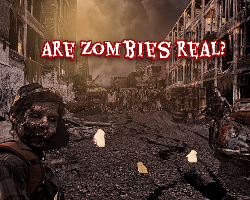 So why not check out our “Are Zombies Real?” resource to learn more about the various types of zombies depicted in Haitian folklore, feature length films and TV shows? Our in-depth article has highlighted the various survival methods which you can deploy in order to fend off these multi-faceted undead assailants. 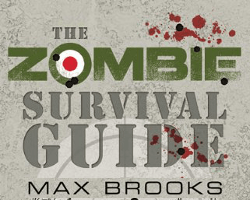 Similarly, our extensive “Zombies” resource chronicles the three main types of zombies featured within mainstream motion pictures and highlights their main strengths and weaknesses. If you need any more exclusive living dead insights, please feel free to check back within our Zombie Apocalypse Survival Section. Our living dead developers endeavour to add new listings every week in spite of any impending zombie outbreak. If the apocalypse strikes you know where to find us!